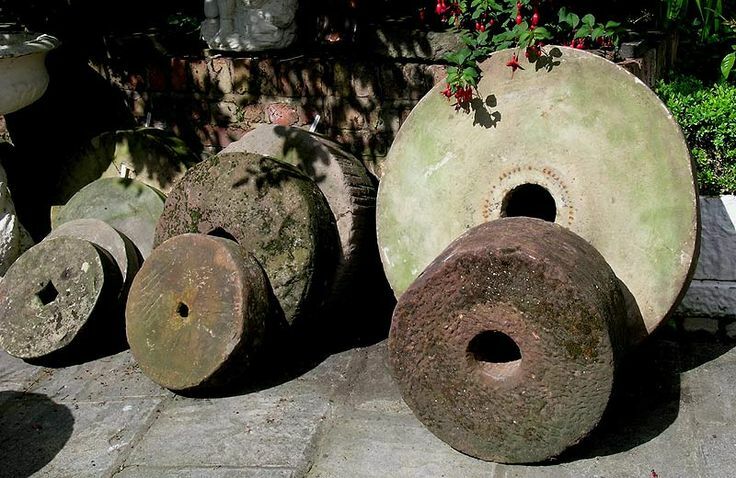 This is a collection showcases the variation millstones can be found from English Garden Antiques (here). 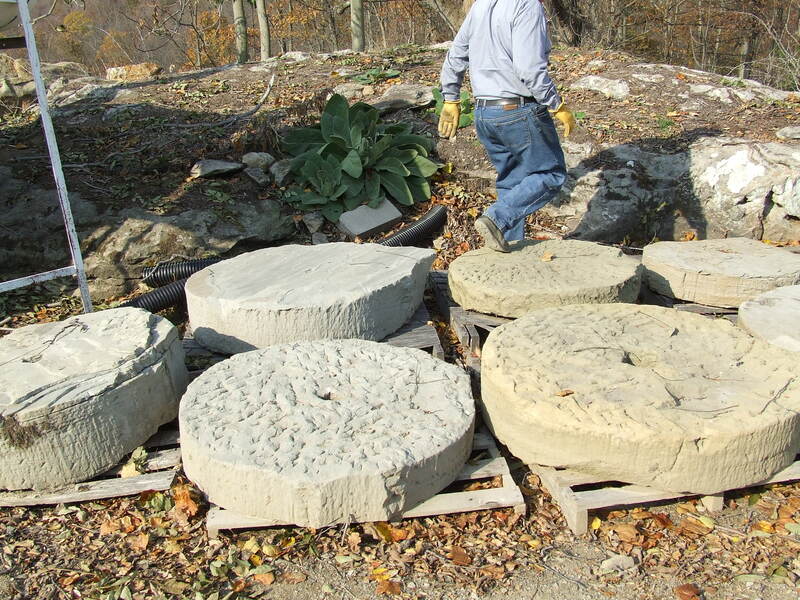 Millstones are fairly easy to find from back when milling of corn and wheat was done locally both on the larger and small scale, creating many different sized stones. Searching your local stone companies or Craigslist will produce lots of options. We found our stone over Craigslist in Southern Ohio as part of a the matched pair. Good key terms to search are; millstone, mill stone, antique. 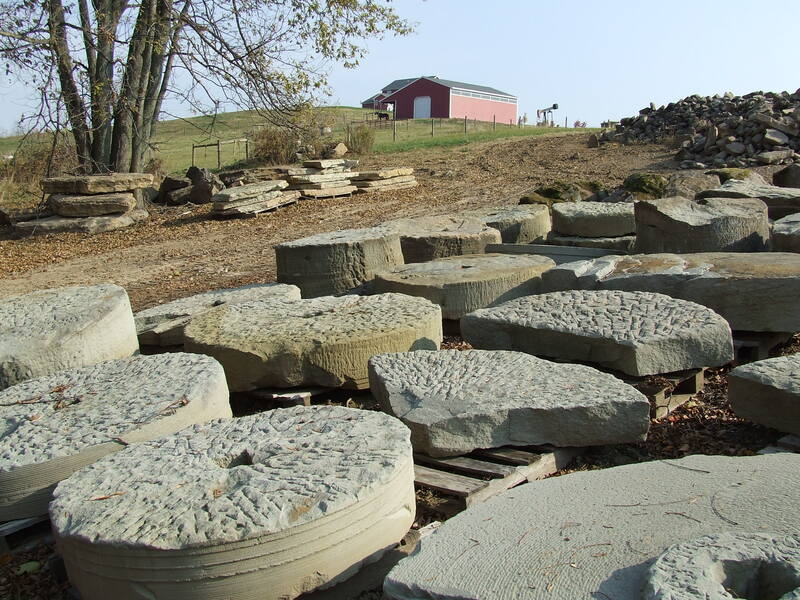 The above two images are from a local stone suppliers (Lones Stone) selection of mill stones. Search your local stone suppliers to see what options are available. 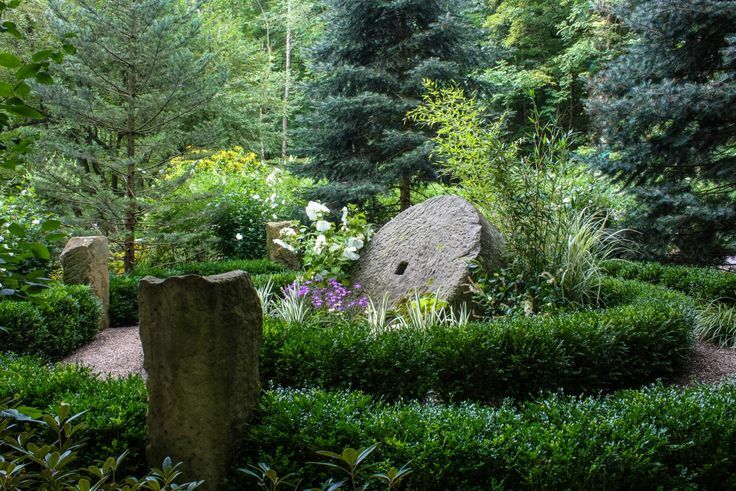 The stones are versatile for use the landscape given the variety of sizes and thicknesses. 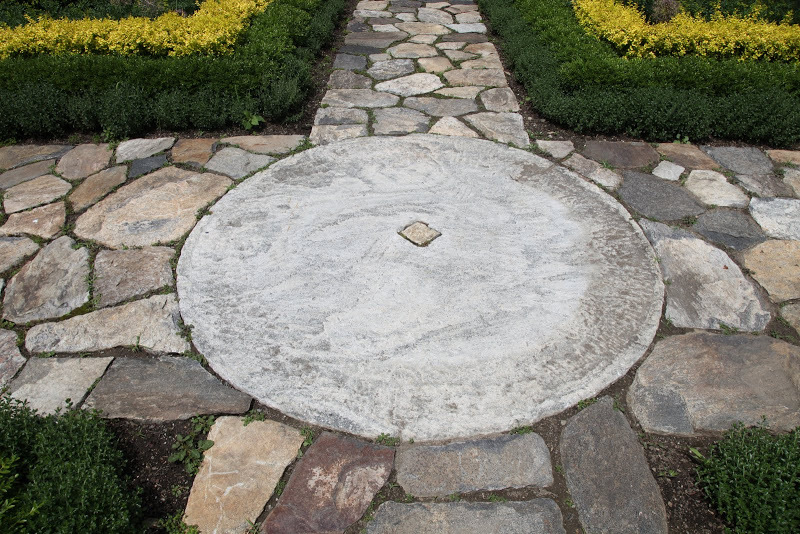 They can be used as fountains, stepping stones, in paving, stone walls, table, bench or focal art. Here are some examples for creative inspiration. 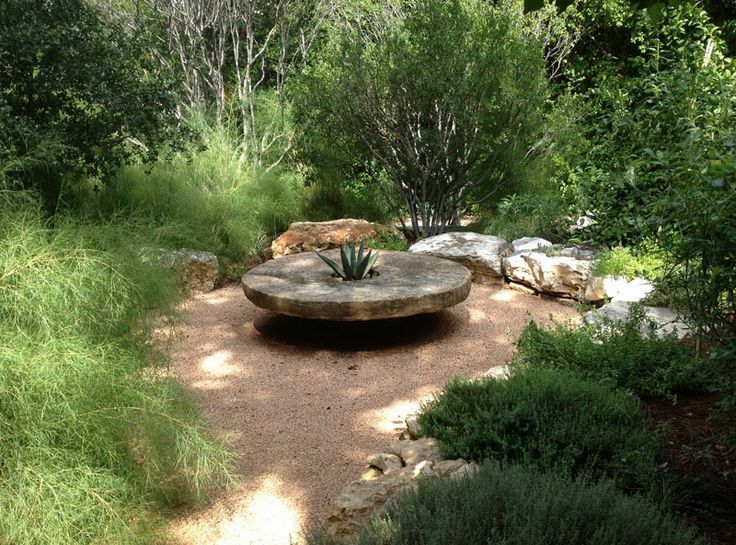 This millstone is used as a bench and gathering location in the personal garden of Christine Ten Eyck in Austin Texas. 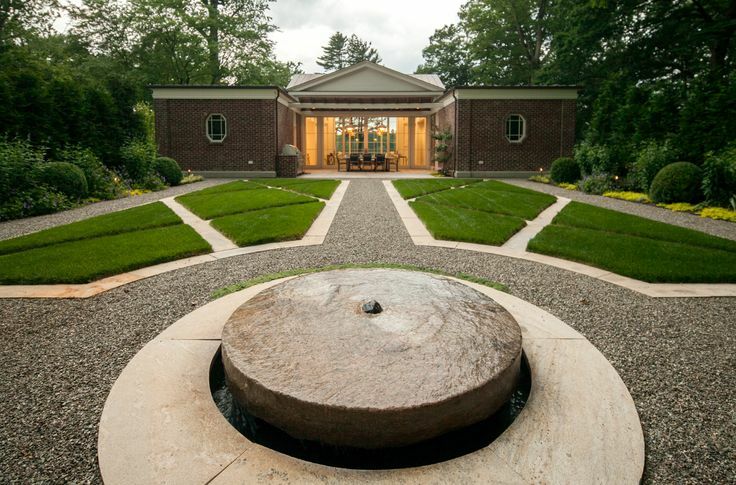 The image is from here and you can see more of Ten Eyck Landscape Architects work here. 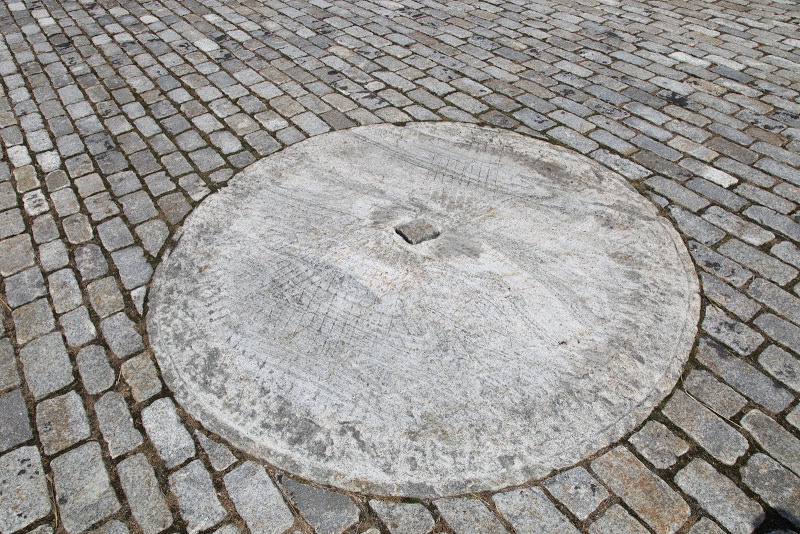 Here are large millstone is used as a table in the garden in the harsh salt air of Nantucket, MA. 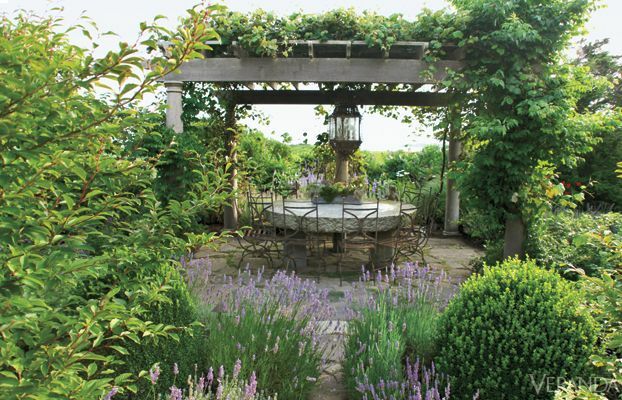 This garden is designed by The Garden Design Company, and you can find more of their work here. Image from Veranda Magazine here. 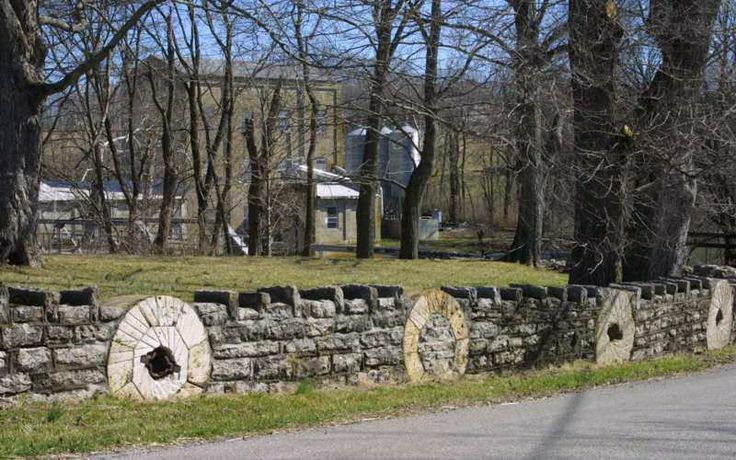 This image is from Ohio Barns (here) which showcases the old millstones from the Weisenberger Mill (near Lexington, KY) used in stone walls. 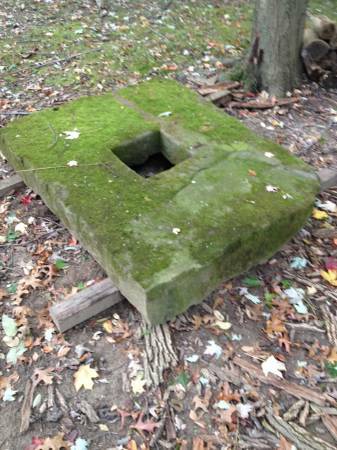 Another great option to use are antique stone well caps. These have the same central hole, however are typically square or even more irregular. To help in search terms try well cap, well cover, stone and I include vintage and antique to weed out anything faux stone. This entry was posted in decorating, G A R D E N S, gardening, Gardens, Get the Look, Inspiration, Landscape, Landscape Design, McCullough, My Work and tagged central ohio, Columbus, garden design, garden designer, gardening, gardens, landscape artwork, landscape design, landscape designer, millstone, millstones by Nick. Bookmark the permalink.